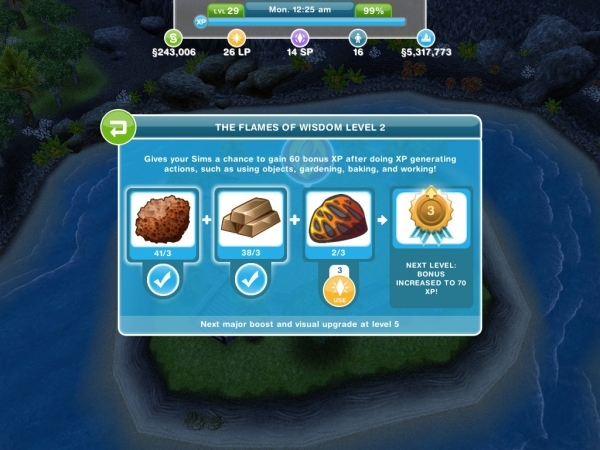 The Sims: FreePlay was created as a freemium grinder city-building game, and within weeks of its release became first-among-equals within that genre simply by its extremely well-balanced game play system. The attraction of the freemium grinder is and always has been the availability of a free high-quality game experience that includes the option of spending money - pay for play - but does not actually require it. The more disliked versions in this genre use a turn-based system that pretty much forces the players who are serious about game play to start spending money. FreePlay chose to not adopt that system, and instead chose a time-based system. Each action, task, and quest requires the player to complete a time-based event. Timers range from a few minutes to hours and even a day or more - if the player doesn't want to wait that long to advance the mission or quest that they are doing, they have the option of using the premium currency (called Lifestyle Points) to skip the timer. Lifestyle Points (aka LP) can be earned in small quantities in the game, or purchased in large amounts via the in-game store using real-world money. A second premium currency was added to the game called Social Points (SP), though this is largely restricted in use for the purchase of premium items of the highest quality. Like LP, small amounts of SP can be earned by completing quests in the towns of your neighbors as part of the social media aspect of the game. FreePlay is an XP based game - each action and task that the player completes earns them XP, which in turn adds up to higher levels for the player town. Much of the advancement in terms of new buildings, industry, and business is level-based, so leveling up your town is a very important part of play. 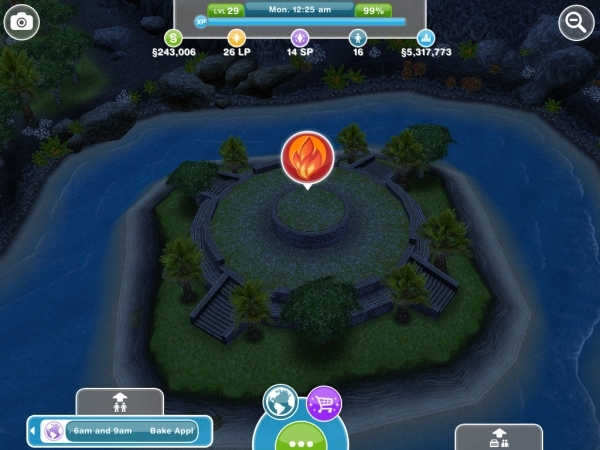 Each monument is upgraded using resources that are collected by regular tasks and actions by the Sims. Each increase in minument level can add a new element to the game. Finally the game includes a money system (called Simoleons) that the player needs to accumulate -- because each new building has a higher cost than the last - that being part of the game design. Simoleons are obtained by completing tasks and quests, collected from buildings through timers, and obtained as rewards. There is also a daily Simoleon Bonus that is paid through the mailbox outside a Sim house in your town. Each element - the two premium currencies, the in-game money, and the XP - combine to make for a well-balanced and entertaining game that can be played either for free, trading time for progress, or by spending money to obtain the LP needed to speed things along. Which method you choose is entirely up to you - but this guide will help you if you decide you want to play either without spending money, or spending as little as possible.